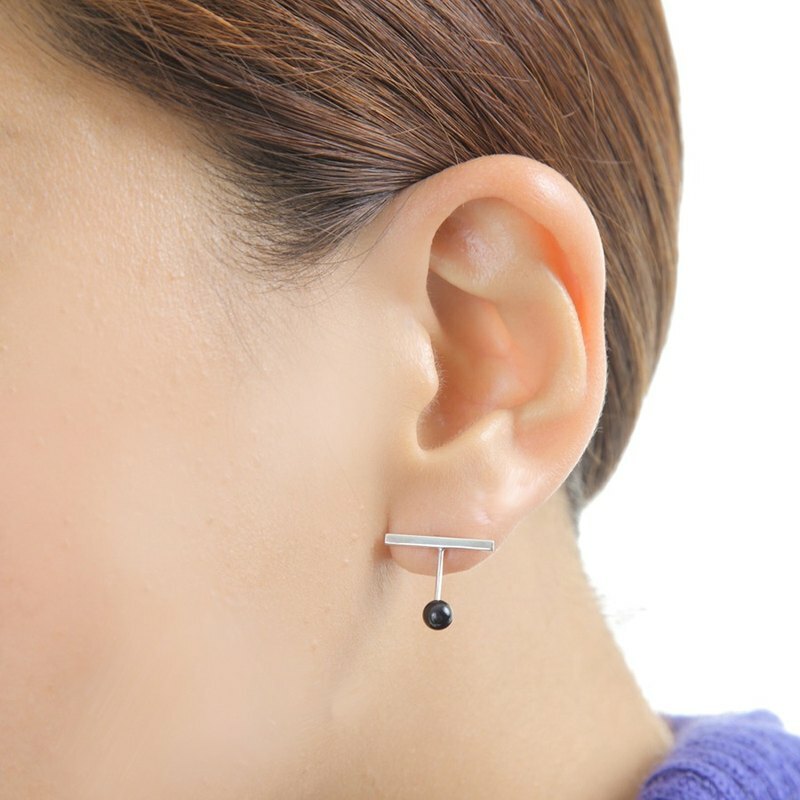 It is a simple design, but it is a unique looking earring. The theme of the work is simple and unique. I am keeping in mind that I can produce works that are thought to be simple but interesting. We have received orders, so we will receive an order and will make a point for each item. Because it is for one ear, please order two points for both ears. Material (main body) SV 950 (Post) SV925 (Stone) onyx Size: Free Size: Length about 1, 2 cm Width about 1, 5 cm : Stone size about 0, 4 cm ※ For order production, we have received your time about 1 week before shipping.